English: Pose Lake in the Boundary Waters Canoe Area Wilderness. Sunset over Pose Lake, a small lake accessible only by foot. Boundary Waters Canoe Area Wilderness, Minnesota. 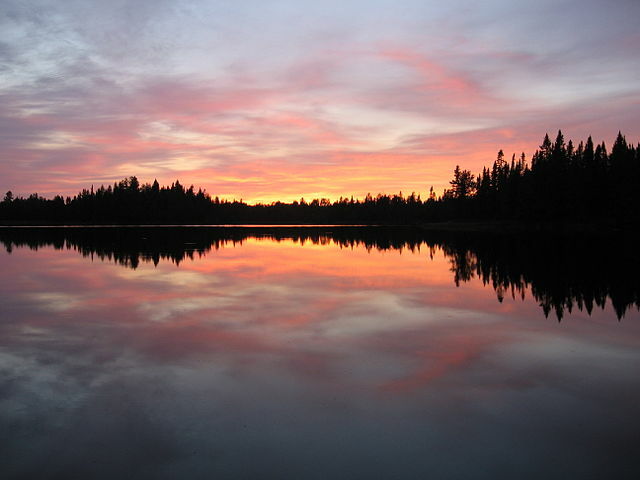 Svenska: Pose Lake in the Boundary Waters Canoe Area Wilderness. English: A photograph of a lake with trees.